Mac Hotels is one of the leading hospitality Services Provider delivering top rate hotels all over the world. The Company has issued 8,10,000 Equity shares of Rs.10 each. Let’s have a detailed review of the company and analytics of the Mac Hotels Limited IPO release date, IPO offer price, subscription, Mac Hotels Limited PO allotment, grey market price and other details like the company’s background, its financial positions, its promoters and other related things. Mac Hotels is one of the leading hospitality Services Provider delivering top rate hotels all over the world. The Company has issued 8,10,000 Equity shares of Rs.10 each. The Company is the subsidiary company of Hotel Miramar Comfort Private Limited which holds 88.27% of equity shares in the Company as on date of this Draft Prospectus. Mac Hotels are primarily engaged in the business of owning, operating and managing hotels, restaurants and resorts in Goa since last 25 years. The Company has been incorporated with the main object to carry on the business of hotels, restaurant, café, caravan site, apartment house-keeper etc and related services. the company’s hotels and Resorts are tourist destinations for domestic as well as international tourists and are one of the frequented hotels in Goa. The Promoter of this company are EDGAR COTTA, EDWIN COTTA, and HOTEL MIRAMAR COMFORT PRIVATE LIMITED The lead manager to the issue is GRETEX CORPORATE ADVISORS PRIVATE LIMITED and the Registrar to this issue is BIGSHARE SERVICES PRIVATE LIMITED. The opening and the closing date of IPO of Mac Hotels is 19 Sept 2018 – 25 Sept 2018. The face value of each share is Rs 10, and the price band of the IPO is Rs. 24. 8,10,000 Equity Shares of Rs 10/- each, Issue Price is is Rs. 24, aggregated to up to Rs 1.94 Crores. Originally incorporated as “Mac Hotels Private Limited” , Mac Hotels is settled in Panaji, Goa. The Company was converted into Public Company and the name of this Company was changed to “Mac Hotels Limited” in the year 2017. Since then, the company has developed and marked its positions among the top hotels and resorts in India. the company is also the subsidiary company of Hotel Miramar Comfort Private Limited which holds 88.27% of equity shares in the Company as on date of this Draft Prospectus. From the above statements, one could find that the Mac Hotels Limited may perform well. Reserved for Market Makers 42,000 Equity Shares of Rs 10/- each at an issue price. Net Issue to the Public 7,68,000 Equity Shares of Rs 10/- each at an issue price. Non-Retail Investors Portion __ Equity Shares of Rs 10/- each at an Issue Price. 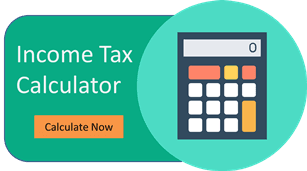 Statutory Auditor – Milind Kulkarni & Associates, Chartered Accountants. Peer Review Auditor – M/s N. K. Aswani & Co. The Mac Hotels IPO Grey Market Premium is yet to be announced. It will be updated as soon as the premium rates are announced.